Important Note: Some testing for the Middle School GT program will take place on Saturday, September 8 (make up day on September 15). 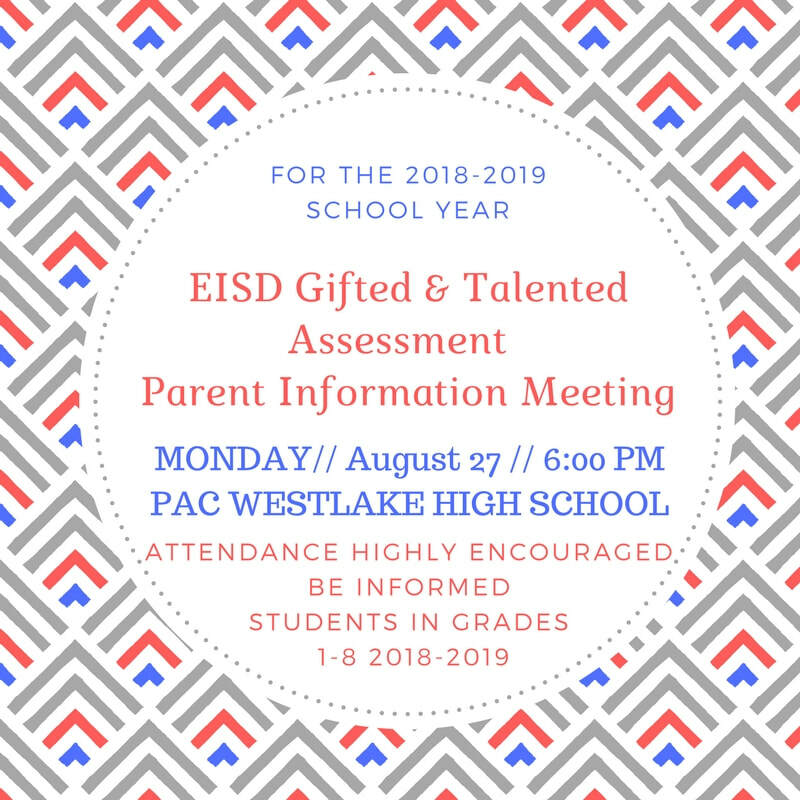 We will have a meeting to discuss assessment information on Monday, August 27, 2018 at 6:00 PM in the Performing Arts Center at Westlake High School. The focus of the EISD GT Program is to serve students who have instructional needs due to exceptional potential in both intellectual and creative abilities. Because each district has different qualification guidelines, interested students will need to be assessed in order to be recommended for the Eanes ISD Gifted Program. Please see the link below for the GT Assessment Slide Show from the Informational Meeting held on August 27, 2018 at 6:00 PM for the 2018-2019 school year.